I loved this author's previous novel, The Girl with a Clock for a Heart, which was a twisty thriller that I couldn't put down. 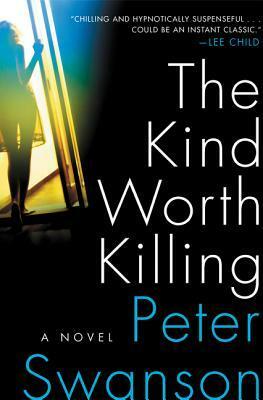 The Kind Worth Killing is just as good so far. I looked at the pale, freckled hand on the back of the empty bar seat next to me in the business class lounge at Heathrow Airport, then up into the stranger's face. "Do I know you?" I asked. She didn't look particularly familiar, but her American accent, her crisp white shirt, her sculpted jeans tucked into knee-high boots, all made her look like one of my wife's awful friends. Page 57 (page 56 is blank): "I told him that I had found something in the meadow on the other side of the woods and needed his help."